"aka a list of media to boycott"
The #OscarsSoWhite controversy last year undeniably sparked some change — this year there were three movies with predominantly black casts in the running for Best Picture, and even a film about India! Though this is a move in the right direction, sadly racism and racial insensitive in Hollywood isn’t over. There’s a more insidious form of racism that is still the norm in Hollywood, and people are starting to speak out about it: whitewashing. Whitewashing is the act of casting a white actor in a role playing a person of color. Due to recent controversies, we’re focussing on the whitewashing of East Asian characters. 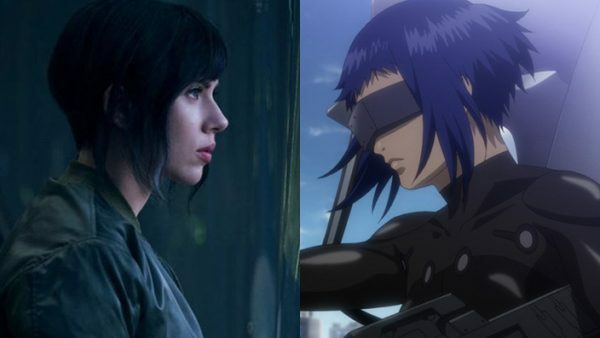 In case you’ve been under a rock somewhere for the past few months, Ghost in the Shell is a Japanese franchise which has had numerous manga, film, and TV adaptations - most recently this Hollywood film which totally removes it from its context. 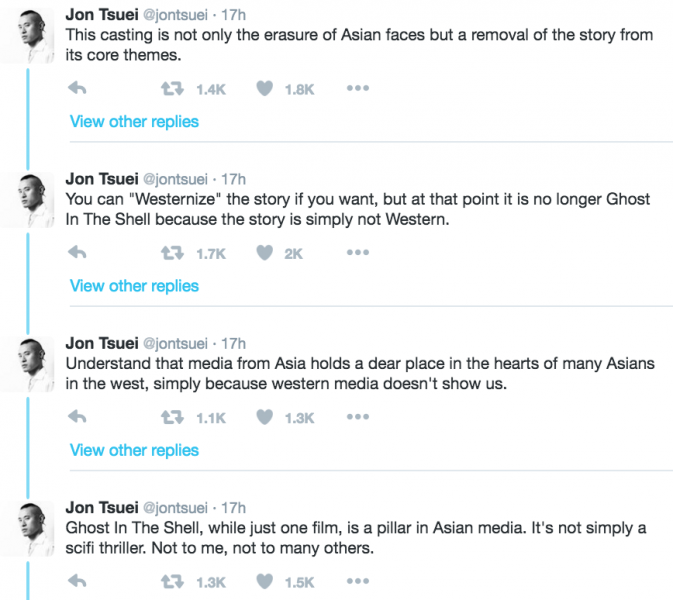 Comic book writer Jon Tsuei perfectly sums up the problems with this appropriation and erasure. Fans have also pointed out that Pacific Rim star Rinko Kukuchi would have been perfect for the role! Back in 2015, Asian-American YouTuber Edward Zo spoke out about his casting experience in the Death Note project and his anger that the role was whitewashed. 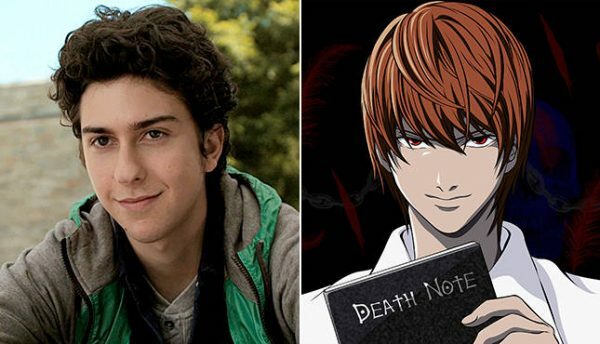 “I was told to my face that they were not looking for Asian actors for the role of Light Yagami,” he says. The character’s name, it has been more recently revealed, has is fact been changed to Light Turner, just to drive home that this story has been completely removed from its integral Japanese context. This rom-com purported to “respectfully showcase the spirit and culture of the Hawaiian people,” with the white Emma Stone representing Hawaiian people to the rest of the all-white cast. Director Cameron Crowe responded to the backlash in a blog post, saying: "I am grateful for the dialogue. And from the many voices, loud and small, I have learned something very inspiring," he wrote. "So many of us are hungry for stories with more racial diversity, more truth in representation, and I am anxious to help tell those stories in the future.” We won’t hold our breath. I mean, he was definitely the best part of the whole show anyway! 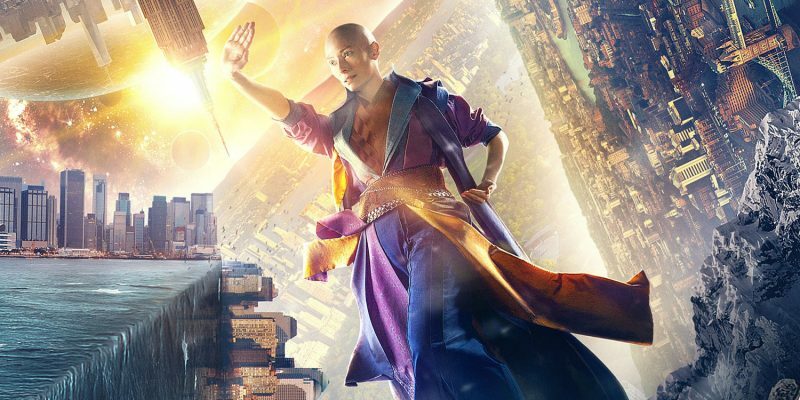 While Doctor Strange suffers from the same issue as Iron Fist, where it would have benefitted hugely from casting an Asian actor in the titular role, the most controversial aspect is undeniably the whitewashing of The Ancient One. Though Marvel were clearly fishing for brownie points by changing this role to a female one, it seems they totally missed the point. The film pretty much erases Tibetans entirely from their own narrative and instead has a white expert teach a white tourist all about the magic which is so deeply rooted in Tibetan culture. To top it all off, read this article where Asian-American actress Margaret Cho spills on how inappropriate Swinton was regarding taking this role. It’s pretty shocking! 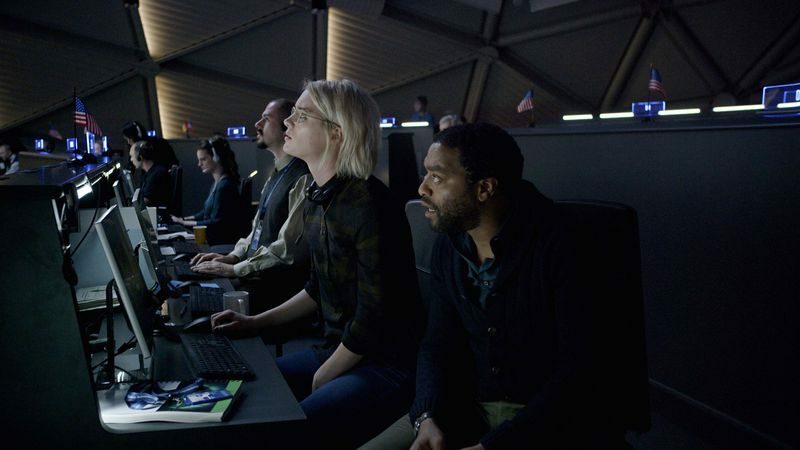 The casting of Mackenzie Davis is straight up whitewashing of a Korean character, and while Chiwitel Ejiofor’s casting is a little more complex of an issue, it is no more acceptable. It is undeniable that Black actors face industry racism and have less opportunities than their white counterparts, but Asian actors in Hollywood should not have their scant opportunities taken away from them. It also sends the damaging message that Hollywood considers people of color as a homogenous group, which couldn’t be further from the truth. 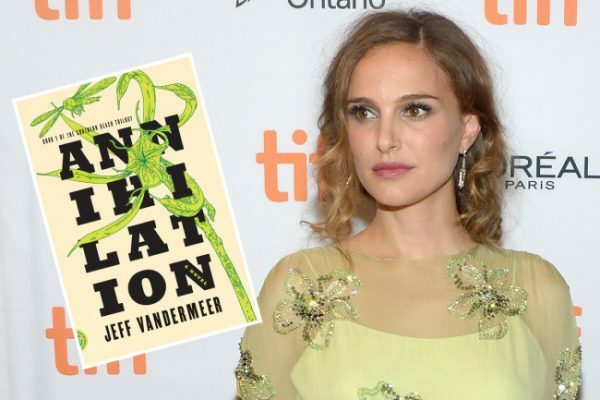 An upcoming film adaptation of James VanderMeer’s Southern Reach trilogy has sparked controversy due to its casting. Though the film has announced a diverse supporting cast, including Oscar Isaac, Gina Rodriguez, Tessa Thompson, David Gyasi, and Sonoya Mizuno, fans of the books are dubious regarding Portman’s casting as the lead role. In the book, that character is described like this: “The biologist’s hair had been long and dark brown, almost black, before they’d shaved it off. She had dark, thick eyebrows, a slight, slightly off-center nose (broken once, falling on rocks), and high cheekbones that spoke to the strong Asian heritage on one side of her family.” This adaptation looks like it might follow the Rogue One prototype — i.e. a very diverse supporting cast playing second fiddle to a white lead. Until Asian lead roles are normalized, films like this only exacerbate the problem. Where to even start with this one. A complex book, that was a challenge for even the Wachowskis to translate to screen, ended up more controversial than intended. The theme of past lives and everything being connected was translated to screen by having the all-star cast play multiple roles throughout the film. Since the story travels through centuries and all over the world, this resulted in some pretty uncomfortable yellow-face from Hugo Weaving, Jim Sturgess, and James D’Arcy. While this is seeming the opposite of whitewashing, the result is still that white actors play roles meant for Asian actors. This one’s a bit of a throw-back, but way back in 2005 the film adaptation of the bestselling American novel caused a bit of a stir in Japan.The story is, of course, intrinsically Japanese, but written by American Arthur Golden, and starring three Chinese actresses Zhang Ziyi and Gong Li, and Chinese-Malaysian Michele Yeoh in the lead female roles. 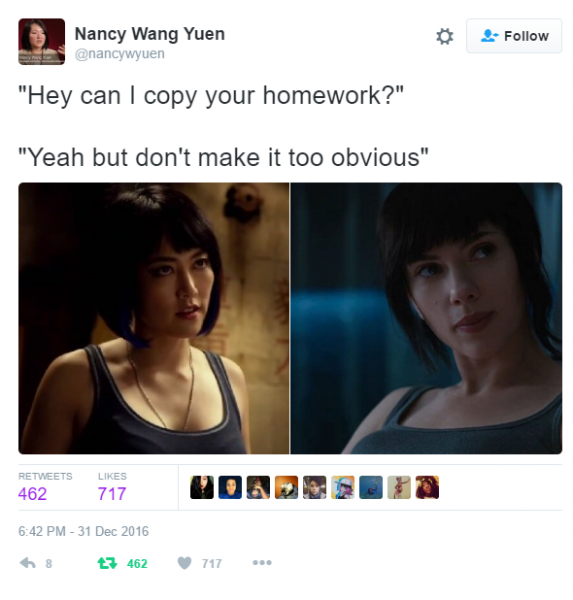 The bankability of the stars, famous from the Hong Kong film industry, was evidently a factor in casting this movie, and it goes to show that Hollywood chooses not to see the distinctions between various Asian cultures. While the cartoon is set in a fictional world, it clearly borrows heavily from Chinese (Earth Kingdom), Inuit, Native American, and Pacific Islander (Water Kingdom), South East and South Asian (Fire Kingdom), and Tibetan and Indian (Air Nomads) cultures. Though the film did cast Native American Noah Ringer, Seychelle Gabriel, and Indian Dev Patel, the worst casting crime they committed was Jackson Rathbone and Nicola Peltz playing Sokka and Katara. Whitewashing honestly just made what was already a terrible movie even worse. So, that’s the end of our by no means a definitive list. 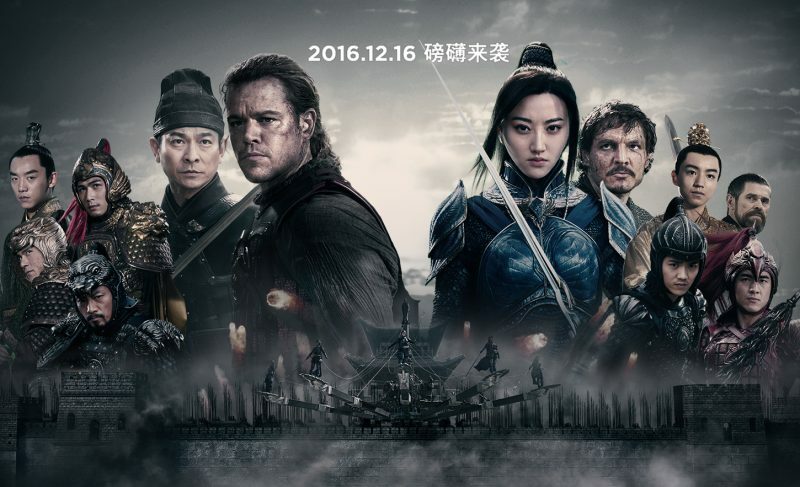 One notable contender which didn’t make it on was The Great Wall — though Matt Damon was marketed as the lead in a film about defending the Great Wall of China from monsters, we don’t think whitewashing was the issue here. Damon played a European mercenary traveling in China, which makes sense at least, and it didn’t suffer from the white-saviorism it looked like it would from the trailer either. Tian Jing plays badass commander Lin Mae, who does most of the saving. Until a time where an all-Asian cast can bring in enough of a Western audience to justify the huge budget, using this tactic of a big name star to allow this story to be told isn’t such a bad thing. Especially since the Chinese characters weren’t sidelined for the sake of his story. Though this list focusses on East Asians, they are by no means the only victims of Hollywood’s whitewashing brush. The all white cast of Gods of Egypt, Rooney Mara as Tiger Lily in Pan, Johnny Depp as Tonto in The Lone Ranger all deserve the pretty terrible box office numbers that they got. Instead of supporting the likes of these films and TV shows, why not try more diverse media? Watch the original Ghost in the Shell and Death Note, and get excited for Pacific Rim: Uprising. 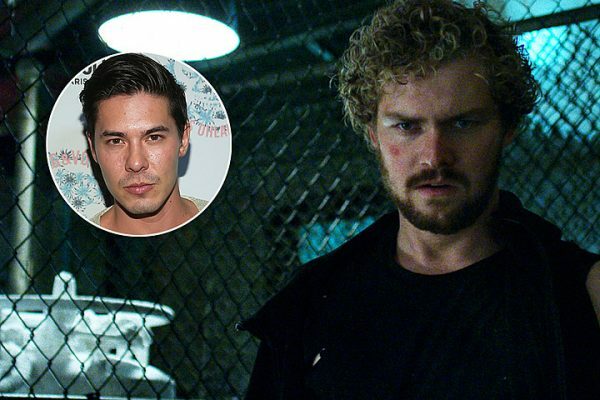 Watch Marco Polo or Into the Badlands or Marvel’s Agents of S.H.I.E.L.D. instead of Iron Fist. Support actors like John Cho, Steven Yeun, Constance Wu, and Margaret Cho when they speak out about racism and whitewashing in Hollywood. Let’s see if we can get Hollywood to change their ways.